Quilt NSW is holding their annual Away Meeting in Berry this year and all RedBerry Quilters are invited to attend. The meeting will be held next Saturday 16 March at the Berry Uniting Church Hall. Quilt NSW invited RedBerry Quilters to co-host the meeting and we agreed to provide lunch for the attendees. The gold coin donation for entry will be donated to RedBerry Quilters. For those who have agreed to assist with the catering, the doors will be open from 9am for food drop-off or to assist with sandwich-making. Melissa Cooke is organising the food roster, so if you have any questions please contact Melissa on 0432 603 484. RedBerry members are encouraged to bring items to the meeting for Show and Tell. The QNSW meeting is part of a full weekend away for QNSW members. On Sunday 17 March the activities will include a demonstration of eco-dying by Carolyn at the Uniting Church Hall at 2pm and, again, all RedBerry Quilters are invited to attend. 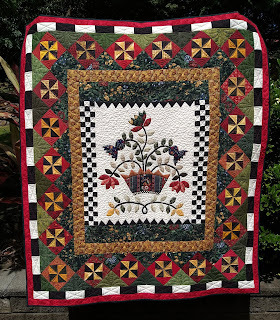 The profits from the Berry Quilt Show 2019, including the proceeds from the Raffle Quilt, will be donated to SAHSSI (Supported Accommodation & Homelessness Services Shoalhaven Illawarra). SAHSSI works to support women, with or without children, affected by homelessness or domestic and family violence. 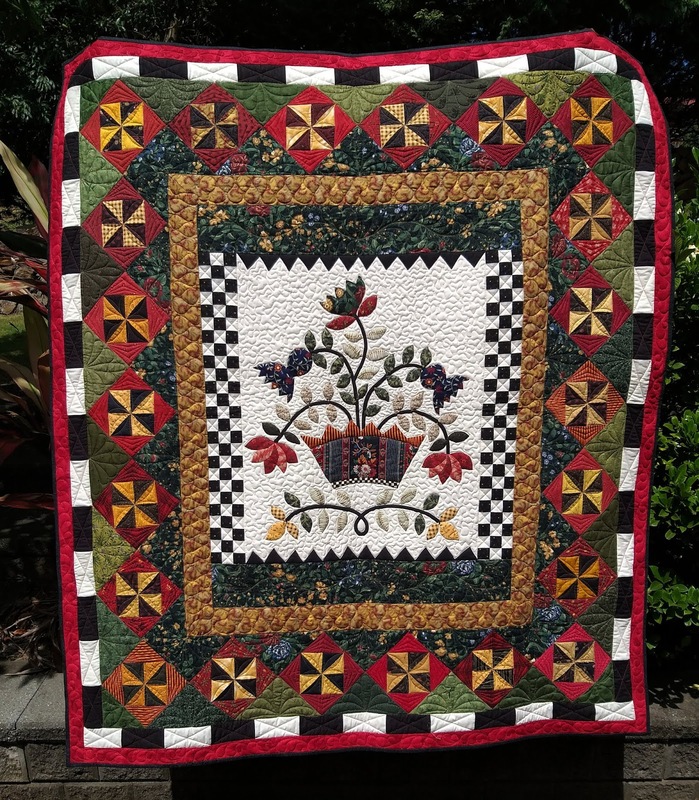 The Raffle Quilt is on display, and tickets are available, at Berry Quilt & Co. Tickets will also be available at the Berry Quilt Show or by contacting RedBerry Quilters members.